Andy Babiuk (of Beatles Gear book fame), recently discovered John Lennon's long lost 1962 Gibson J160E guitar. It was the guitar's current owner, John McCaw’s close friend and guitar instructor, Marc Intravaia, who had suspicions about the guitar's origin and contacted Babiuk. Babiuk's instincts told him there was something about McCaw’s story that was intriguing and warranted further investigation. Staged reception of the two guitars at Rushworth's in Liverpool. 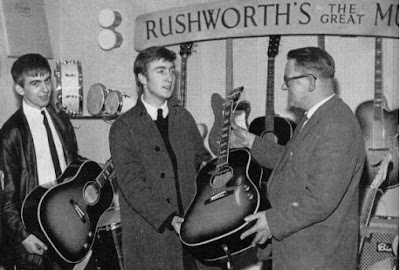 John and George both ordered this particular guitar model after they learned that they had gotten a recording contract, and it was delivered to them by the instrument shop Rushworth's in Liverpool. A staged after-the-fact publicity photo shoot show John and George with their guitars in the shop. 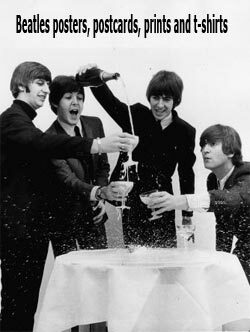 (More photos at the excellent Beatlesource site.) Some time after the boys had started to use their guitars, the two were mixed up, and the guitar now in possession of the Harrison estate actually sports the serial number assigned to John's guitar. This particular guitar can be heard on the UK singles “Please Please Me/Ask Me Why” and “From Me to You/Thank You Girl.” It can be seen in the mimed november 1963 Granada TV performances of “I Want to Hold Your Hand” and “This Boy” and in countless 1962-1963 studio and stage performance photographs. Looking like an acoustic guitar, it is actually electric. The two guitars in action in the Granada TV show. The guitar has never been modified in any way. It has never been refinished and has had no hardware or electronic changes. In viewing the 1963 Granada TV performances of “I Want to Hold Your Hand” and “This Boy,” tell tale marks on the guitar further confirm its identity. 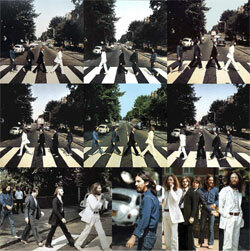 Naturally, as a true Beatles fan, Babiuk took the opportunity to play a number of Beatles songs on the instrument. 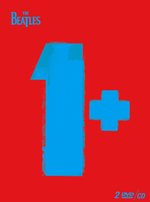 The guitar will be featured on the cover of the new Beatles Gear-The Ultimate Edition book with a scheduled release date of October 27, 2015. 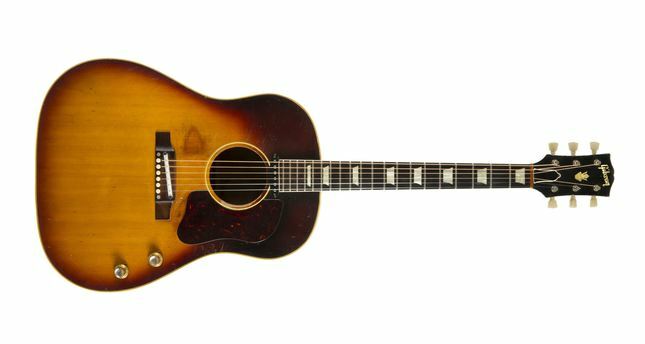 Read more about the history of Lennon's and George Harrison's 1962 Gibson J160E's here. The guitar at a BBC radio session. Note the plug and electrical cord. Lennon's 1962 J160E is slated to be offered for sale by the current owner at Julien’s Auctions Icons & Idols Rock n’ Roll Auction event to be held on November 6th & 7th, 2015. They are estimating bids of around $600,000 and $800,000, but Darren Julien, owner of Julien's Auctions, is hoping its sale will top the $965,000 auction record set in 2013 for an electric guitar owned by Bob Dylan. 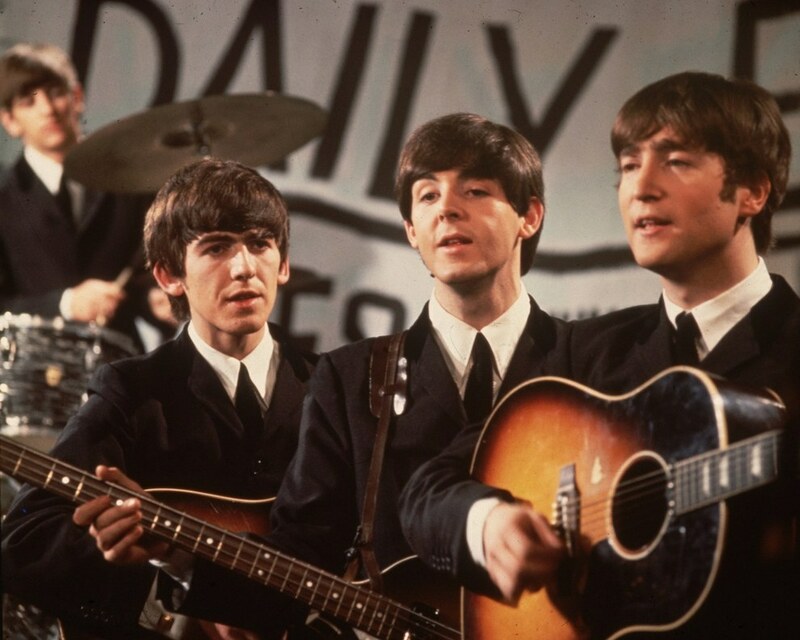 The guitar will first will go on display prior to the auction at The LBJ Presidential Library in Austin, Texas, from June 13-29 for the opening of The GRAMMY Museum® and Fab Four Exhibits Ladies & Gentlemen…The Beatles Exhibition! It will then be displayed at the GRAMMY Museum® in Los Angeles from July 2-September 7, 2015 and at Julien’s Auctions Beverly Hills from November 2-6, 2015. The Granada TV performance of "This Boy" with both guitars. I agree totally with Andreas. If the provenance of the guitar is beyond doubt (and I have the first edition of the Babiuk's book which includes a scan of the receipt and serial number) then this only confirms that all subsequent ownership is based on an original theft (one of the main Mal Evan's stories in Davies' book) and therefore all subsequent transactions, whether in good faith or not, cannot be upheld. Yoko will surely be interested, but I am astonished anyone would try to sell it unless they are attempting to ramp up the value. I have to agree with Roger when he commented on if only this guitar could tell its story; how the hell did it end up in the USA after 50 years? I can only concur. This guitar was stolen from John, and it should be returned to his estate. While I agree with the sentiment that a stolen guitar should be returned to its rightful owner, things are complicated in this case. The actual rightful owner of the guitar is George Harrison, as evidenced by the serial number, and then the Harrison estate should return their guitar to the Lennon estate. The statute of limitations may also come into play, regarding whether or not the stolen property should be returned to its rightful owner. After all, fifty+ years have gone by and the current owner of the guitar is likely to have bought it in good faith - and shouldn't be the one to blame for the theft - so why punish him by taking his guitar away from him? As I see it, an auction will establish the true value of the guitar - and then it can be returned to the Lennon estate, if they are willing to part with that amount of money to the person who found it for them. I am not a lawyer so I can't comment on any legal loopholes due to the amount of time passed, although it still seems to me that a bad claim based on theft is not fundamentally changed by the number of years or amount of transactions. It would be good to get an expert view of this. But we do know of recent cases where art works looted by the Nazis have been returned to the original owners with timescales up to 75 years. Morally I can't see that the amount of time overturns ownership based on theft, and no legal loophole will change my view on that. The question of swopped ownership is intriguing, but according to Babiuk (and I think I will buy the new edition of his book - one of my favourites - when it comes out this autumn) the switch was made early on. In any case he claims that the Harrisons still own one of the original guitars so it was unquestionably John Lennon who 'lost' a guitar and ended up buying a replacement. This latter fact may explain the 4 knobs question. To help clarify, John McCaw bought Lennon's swapped guitar at a second hand store in the early 1970s (1). He hung it on his wall and rarely played it all those years, which is why it's in such original and excellent condition. As to Lennon's estate, McCaw and Intravaia are equally huge Beatles fans. Lennon's estate was contacted with the following result: "Julien's says a percentage of proceeds from the sale of the guitar will go to Spirit Foundations, Inc., the non-profit organization founded by John Lennon and Yoko Ono" (2). Thanks for the info, Addie. No doubt a more detailed version will come out in Babiuk's new edition. Do you know whether this shop was in the UK or USA? I suspect there is someone getting on in years who knows exactly what happened in the Finsbury Park Astoria Theatre during Christmas 1963/4, but is unlikely to ever own up. But that is still quite a time gap to the early 1970s. It is also pleasing to note that this sale goes ahead with the blessing of the Lennon family (its not as if they need the money). More than anything I am pleased that it has turned up, like Harrison' 'lost' Gibson SG. I hate mysteries of that sort! More and more details are emerging about the guitar. The press release from Julien's auctions initially implied that McCaw had bought the guitar in 2013, now the San Diego reader has an article that claims it was bought in 1969. Marc Intravaia: “He bought it in 1969 from a friend and never knew what he had until he brought it to me last August.” McCaw bought the mildly beat-up Gibson acoustic from a friend for $175, in a transaction at Blue Guitar shop, then located in Old Town. After spotting a magazine article in 2014 with a photo of George Harrison holding a similar guitar, McCaw noted Harrison’s guitar was only four serial numbers away from his Gibson, and concluded they were probably made on the same day in 1962. Read the full article here. The guitar can legally be sold, as it wasn't reported lost or stolen to The Police. Under UK law, it must be reported stolen within ten years, for the owner to be still able to claim ownership. Good luck to the seller. My personal opinion on this........Try and strike a deal with Yoko, under the proviso that she gives it to Julian. I am not disputing your knowledge, Bounder, but I am curious as to how you know that it was never reported? This is a fascinating story and I can only repeat that more than anything a mystery has been (partially) solved. The only other point of interest is the fact that Babiuk's research revealed that Macca seems to have held on to everything he ever owned, John was not far behind (and Yoko seems to have all the famous guitars - apart from the original Jumbo), and only George seemed less sentimental and gave an awful lot of his guitars away with a couple still unaccounted for. Ringo seems to have kept most of his drum kits too. Hello James, I am reliably informed 100% that the guitar was not reported stolen. It was still early in their career, the historic value of the guitar wouldn't have meant a thing at the time. Yes James, Macca has everything at his studio in East Sussex. I spent a day at The Mill with Paul in March 1995, an amazing place. Paul gave me the full tour of his studio. Roger will vouch for my credentials, I'm sure. Wow, a true insider - I envy you. My final point on this subject. Over the last 10 or so years I have kept track of Beatles guitar sales. I can only hope that this guitar does beat the previous record if only to keep the Beatles in the news. I think that John's 1958 Rickenbacker 325 would be the most valuable of all their guitars since it is arguably the most iconic and it would be interesting to speculate what that would fetch at auction. Regarding verification of authenticity, I have seen nothing in the news (for days) with anything more definitive than "the wood grain matches early photos." Really? Black and white pictures of a sunburst guitar? Do the serial numbers match? If so, why are they looking at the wood grain? If not, what's going on? Looks like I didn't read far enough on this excellent blog before posting my previous comment. I researched this exact guitar myself 20 years ago when the internet was not as comprehensive as it is now. I was unable to find the store receipt with the serial number. And on the Gibson site there was a notice (still there, I believe) saying, in effect "Don't try to date any of our guitars or figure anything out based on serial numbers, because we have not kept good records, have started new series in the middle of production runs, and have actually duplicated some numbers." So at the time I came to the conclusion that all the evidence was lost and no one would ever be able to authenticate a J160E as The One. Apparently things have changed since then, although I still have my original question: Even though it now looks as if there is a match of the serial number, why isn't Mr. Babiuk crowing about that? That alone would identify the guitar without doing any forensics on the wood grain. This Guitar was never stolen or went missing. 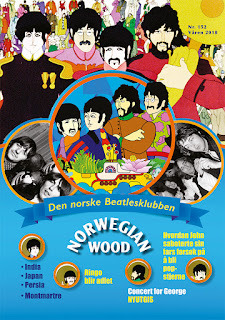 It was played only once by John Lennon in one show. There is no such thing as the perfect crime Darren Julian. As the truth will come to haught you. All early photos of Lennon he is playing the guitar he bought serial number 73161. How georges son ended up with Johns Guitar we do not know. You can not change music history because people are dead Please write to the Darren Julian and request he change terms of sale as a George Harrison Guitar. As i only tried to expose the real facts in a nice way and he called me a IDOIT. Is this Video a lie or many photos showing Lennon Playing his guitar not this one ?. what no one can answer with any certainty is why, when and how george and john swapped their J160E guitars. Your Right Carl no one can answer why they swopped Guitars, Clearly they did not after George gave his away. Maybe John said keep mine as he regreted giving his away. In christmas shows 63 they were only back up Guitars then. Fact remains in law with eveidence the guitar for sale now was George Harrisons and John was only seen playing it once in clear photos and suddenly the Auction house has invent a whole new history to it. 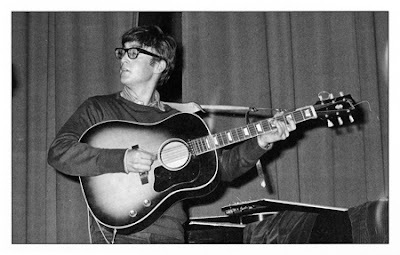 The Photo that lead me to this site was Google images and Black and white of John playing a Guitar at the BBC sessions 63. Its not this guitar that is for sale. But his serial number 73161. This has caused alot of confusion, only one photo shows John playing this Guitar and it is still from a late 63 TV show. A few weeks later George gave this Guitar away all. It was Never swopped or was it Johns. The Auction house has caused all of this confusion to try to double the price.